The Myrtles Plantation in St. Francisville, Louisiana, is another haunted home in the US. 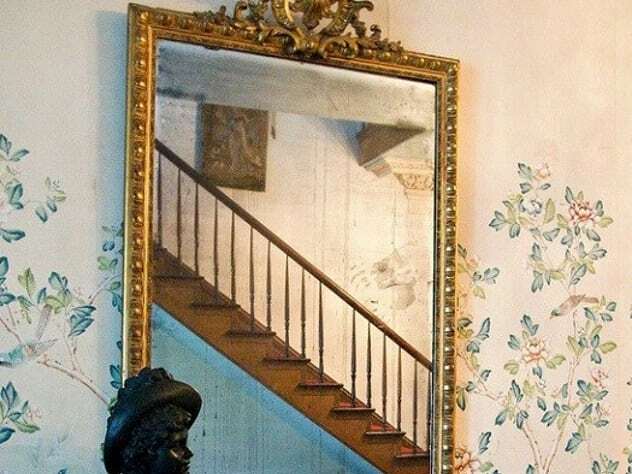 Its most haunted item is a 200-year-old mirror. The story goes that the mirror became haunted after a slave called Chloe poisoned a cake, killing Sara, the wife of the owner of the plantation, and two of her daughters. The souls of the deceased were trapped in the mirror, from which they haunted the plantation. Visitors to the plantation often note strange handprints and drip marks on the mirror. Some even confirmed seeing people dressed in old-style clothes inside it. The mirror’s backstory is somewhat disputed, since there is no record of a slave named Chloe ever working on the plantation. Also, according to the plantation’s records, Sara and one of her daughters died of yellow fever, while the other one survived into adulthood.